We will host our annual Schleese Saddle Fitting Clinic 4/16 and 4/17. We will have 2 of these revolutionary Obrigado saddles available. Come join us & try one out! Here is our latest newsletter featuring our Grand Prix Arabian, the leading 1st level Quarter Horse in the nation, our Arabians at the Oldenburg inspection, our new Res Natl Champ filly & more. 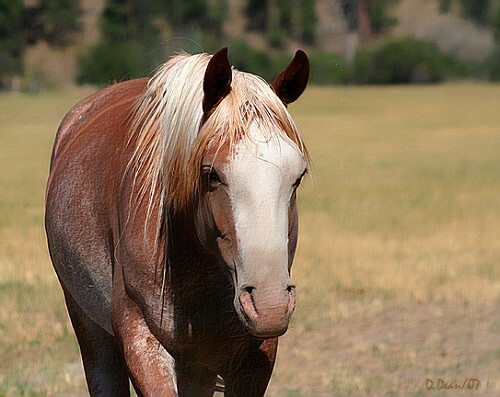 We are busting our buttons at the achievements of Bobbi Bingeman and her beautiful AQHA mare, Sparkin Hot Jacke (“Paq”). 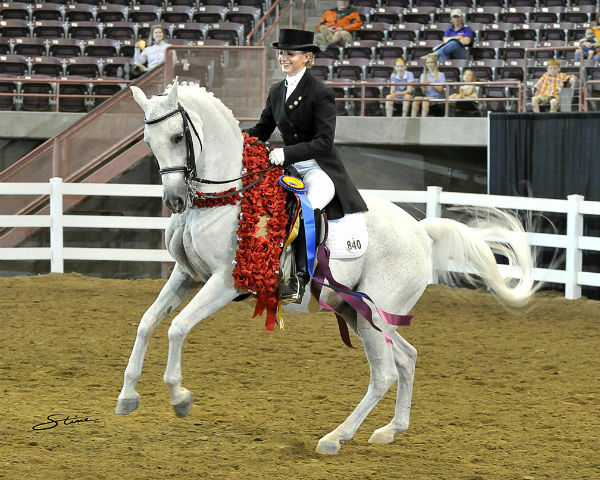 In 2012 with both Mimi and Bobbi showing, Paq earned her Register of Merit in dressage and was the number one ranked QH in 1st level dressage according to the national AQHA Journal standings! We can’t wait to see Paq step up to 2nd level this show season. 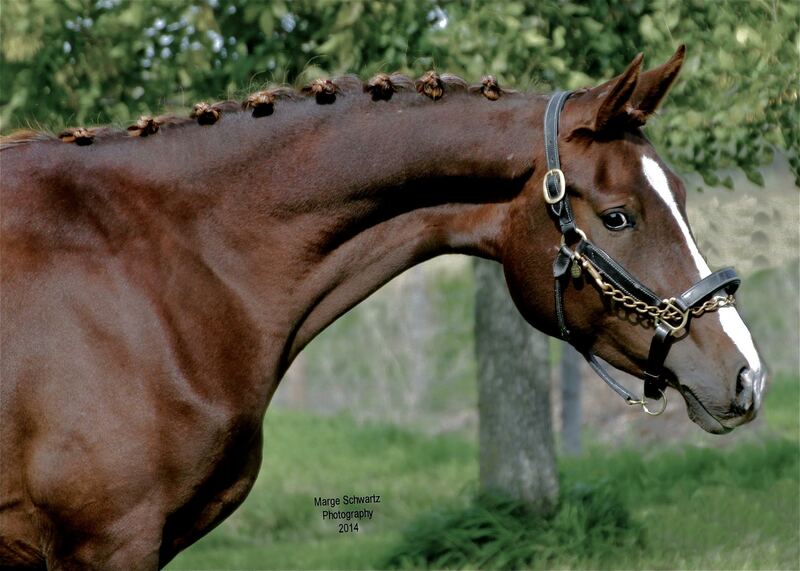 If you are interested in exploring dressage – Western, classical, or competitive – with your QH, give us a call. We offer training for the beginner to FEI rider and would love to help expand your horizons. PRTC horses are in the debut edition of Arabian Sport Horse Magazine! 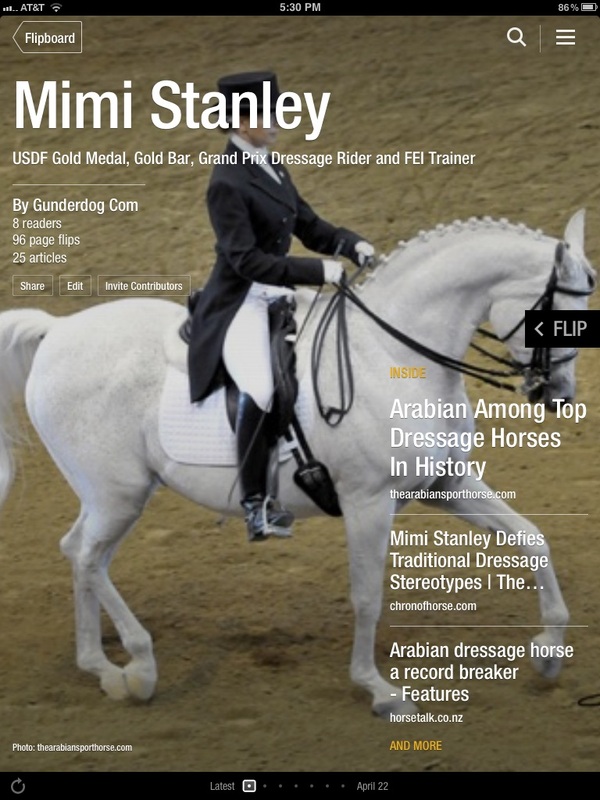 Mimi and PR Captain Hook are included for their USDF All Breeds Award in 4th Level Open and there are several photos and mentions of our new filly, Mirai C, for being Reserve National Champion Yearling Sporthorse Filly with her previous owner, Beth Conti. 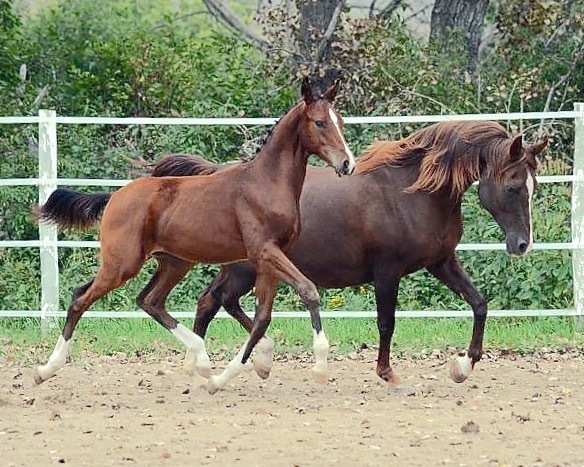 PRTC welcomes our newest addition, Mirai C, from Catori Creek Arabians in CA! With double blankets and much attention, Mirai is adjusting very well to winter life in ND. 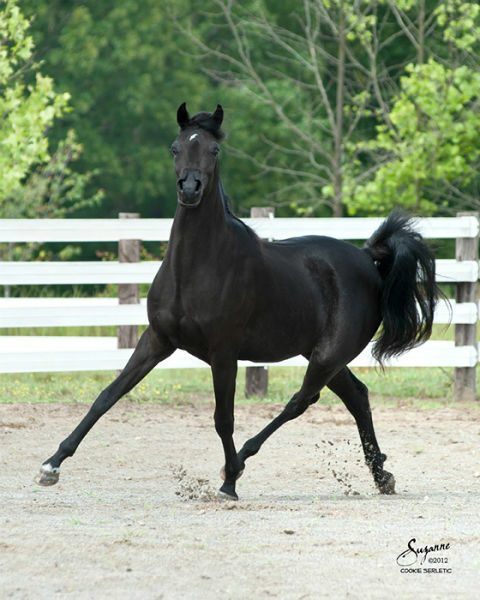 Mirai, a 2010 black filly, not only has splendid Arabian type but also shows the natural uphill balance and elasticity of movement necessary for a dressage prospect. Mirai is already a Reserve National Champion Sport Horse In Hand winner. Her sire, the spectacular Mirage V+++// is a multi-National Champion and her dam Windsong Bey is a multi-National Champion producer. We are excited to start Mirai’s dressage training and one day, work her into our sport horse breeding program.